"An aura of the past lingers so palpably about this house a visitor has the feeling time has halted for a century in its relentless roll." The Thomas Holt House, or Holt House, was built ca. 1835 in what is now Brentwood, Tennessee, and its rich, and sometimes tragic, history endures. Thomas Holt was born in 1802 and was the son of one of Brentwood's founding landowners, John Holt. After razing the first home he built for his family (a traditional log house), Thomas erected the two-story brick abode that stands today on the same site. Holt House sits on land originally granted to Christopher Holt, Thomas's grandfather, for his service in the Revolutionary War. Until the end of the Civil War, the land functioned as a plantation. In 1859, Thomas Holt was listed as owning 682 acres and 14 slaves, which was a sizable plantation for the period in Williamson County. After the war, the farm continued to produce crops such as cotton and soybeans, with many of the former slaves and their families staying on as hired farmers and caretakers of the land. The Holts built homes, a school, and a church for the African-American community that worked and lived on the farm, which functioned into the 1980's, when nearly 80% of the 1,200 acre farm was sold to develop a residential subdivision. In 1965, the most recent owner of the property, Charles Witherspoon III, shuttered the historic home. 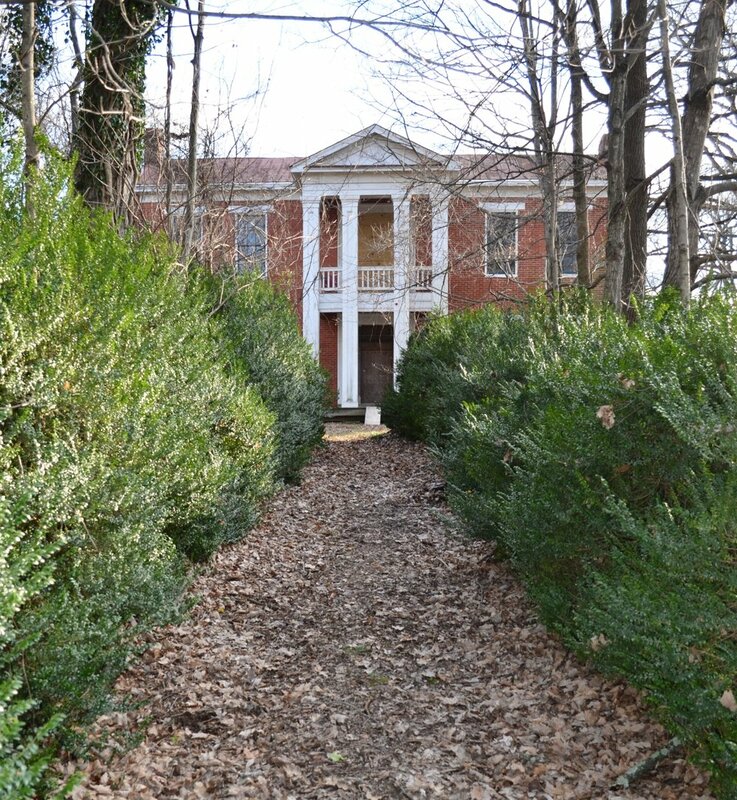 Witherspoon, who is a great-grandson of Thomas Holt, made the practical decision to move into the lower house on the property, which was built in 1929 and sits between Holt House and Crockett Road. In 1988, the Thomas Holt House was placed on the National Register of Historic Places. In January 2016, the remaining 253 acres of the original Holt property were sold to make way for another high-end residential development, which is currently under construction. The antebellum Holt House and 9 surrounding acres were sold to a local couple, who intend to breathe new life into the aging beauty by restoring and renovating the home to suit the needs of a modern family while honoring the historic legacy it leaves behind.